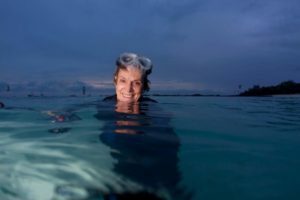 Global oceans champion Dr. Sylvia Earle will speak about the future of our oceans as the 2019 Visiting SAGE. Popularly called Her Deepness by the New Yorker and the New York Times, she is an inspiration to millions as a hero for the planet. Dr. Earle will speak about the world’s oceans as the source of all life, why they’re in peril from pollution, over-use and climate change, and how we can be a part of an all-out effort to save them. She’ll be joined by young leaders with a hope-inspiring message: together, we can restore the blue heart of our planet. At the event, guests will also enjoy our Oceans Expo with live music and exhibits featuring marine conservation, research and volunteer opportunities.